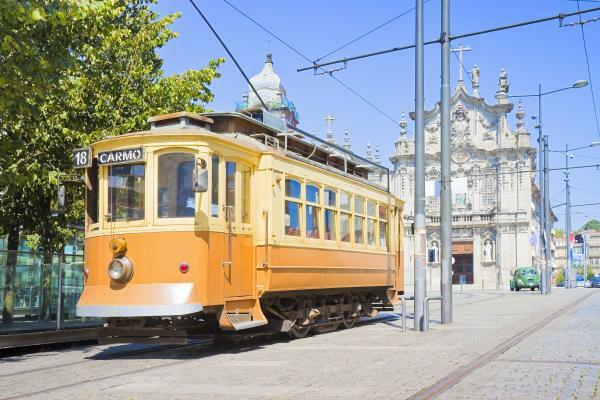 Begin your journey in beautiful Lisbon for a 3-night stay. 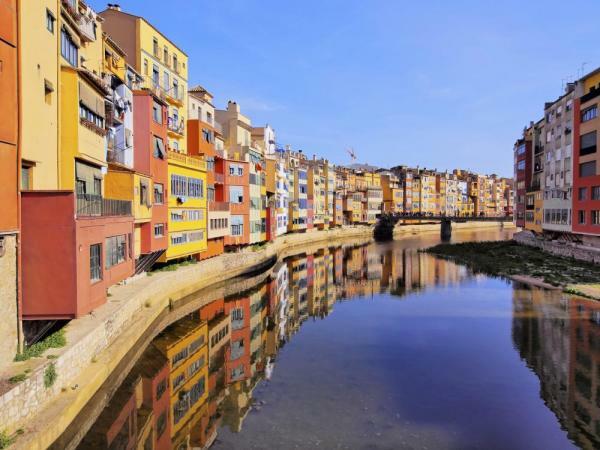 Travel to Porto to embark your ship and begin to traverse through one of Europe’s wildest and unexplored regions, filled with vineyards, dramatic gorges and steeply terraced hillsides. Visit the small town of Pinhão, a Mecca for wine lovers, the beautiful region of Tras-os-Montes and the village of Entre-Os-Rios. Conclude your cruise in Vega Terrón, then travel to Madrid, Spain for 3 nights. Arrive in Lisbon and transfer to your hotel. The remainder of the day and evening is free to explore on your own. One of Europe’s most beautiful cities, Lisbon stretches across several hills along the Tagus River. On your escorted tour, you’ll see Belem Tower, a fortified four-story tower made of limestone, and visit the Late Gothic Jerónimos Monastery, the burial place of many Portuguese kings and heroes. You will also taste a typical Portuguese pastry, Pastéis de Belém, before going to Discoveries Monument, built in honor of Portugal’s greatest maritime explorers. Enjoy an excursion to Serra de Sintra, former home of the Portuguese royal family, one of the most picturesque mountain villages in Portugal and a source of inspiration for generations of poets. You have a guided tour of the Pena National Palace, a fairy tale castle from Portugal’s Romantic period, situated high up on a rocky peak. 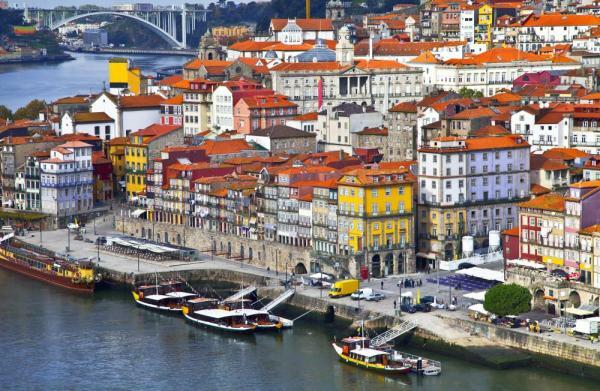 Check out of your hotel and transfer via a high-speed train to Porto where you’ll board your ship. This morning take an excursion to Guimarães, one of the most historic towns in Portugal and a UNESCO World Heritage Site. 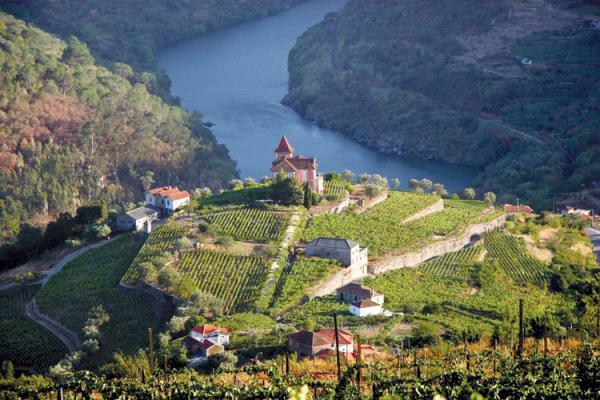 Enjoy some scenic cruising through the Douro valley on your way to Entre-Os-Rios. This evening savor a glass of Port wine and take in the breathtaking view of the river valley from the terrace of the 14th century Alpendurada Monastery, where you are served dinner. The ship moors here overnight. This morning take an excursion to Quinta de Avelada, a historic family-owned wine estate near the city of Penafiel. Upon arrival, enjoy a tour of the winery followed by a delicious wine and cheese tasting. Afterwards you have some free time to explore the grounds and admire the estate’s famous gardens before returning back to your ship. This afternoon, cruise to Régua where you have some free time to explore at your leisure. Disembark your ship and head off for a full-day tour of Salamanca, a UNESCO World Heritage Site located at the center of Spain’s Castilla y León region. Your guided city tour includes the university buildings, the 12th century Romanesque church of San Martin, the House of Shells, and also some free time to explore the city on your own. Later, transfer to Madrid and check in to your hotel. 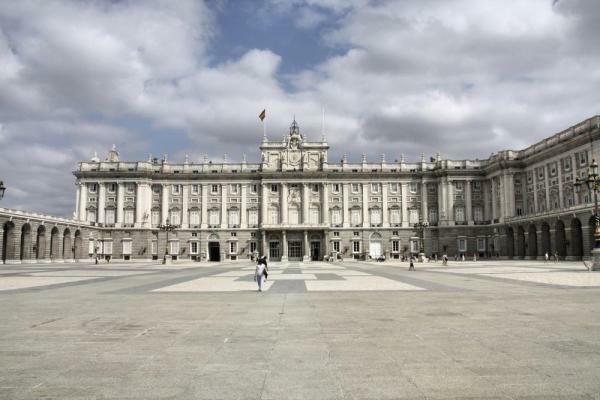 Today you have a guided tour of Madrid, the capital and largest city in Spain. Known for its many historic districts as well as its modern infrastructure, the city’s top landmarks include the elaborate Royal Palace, Buen Retiro Park, Plaza Mayor, and renowned art galleries such as the Prado Museum and Centro de Arte Reina Sofia. Today, take an excursion to the walled city of Toledo, a UNESCO World Heritage Site and ancient capital of Spain. Populated since pre-Roman times, its landmarks include the Alcázar, Cathedral of Toledo and the El Greco Museum. Your river cruise vacation comes to an end as you prepare for your homeward flight.